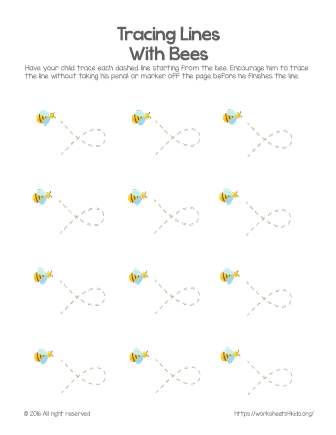 Spring themed tracing worksheets for preschoolers help improve fine motor skills and get ready for the future writing. Tracing elements such as lines is an important skill for your little learner. Trace each line without taking hands off until the line is complete.